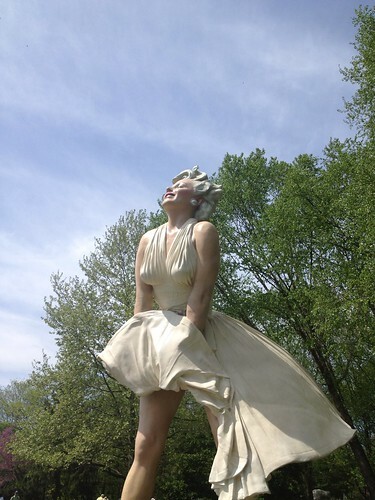 I was fortunate to visit Grounds for Sculpture in Hamilton, New Jersey on Mother’s Day. 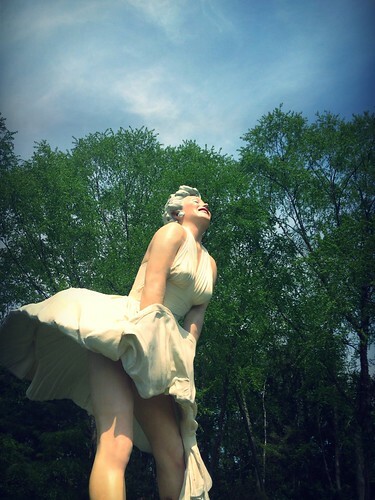 We went to see the Forever Marilyn Sculpture that was part of the Seward Johnson Retrospective. This was my first visit to the sculpture park and I was regretting never having visited there before now. The park is amazingly beautiful, with sculpture after sculpture in a breathtaking landscape. The park is 42 acres and has over 270 sculptures, so you can visit multiple times and see many different things on each trip.